Sir, The debate about form following function extends beyond the architecture of the Olympic velodrome (letters July 23 and 25). The design of the New Scotland Yard sign (by Edward Wright) is one of the nation's finest examples of form and function in design. Or was, until defaced by a pointless blue marketing plaque. 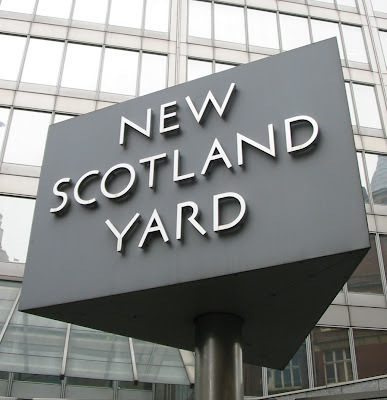 Wright's idea was that the sign, which announces New Scotland Yard and humanises its anonymous glass curtain wall face, should also symbolise the function of the Metropolitan Police. He designed the constantly revolving triangular shape and reflective steel lettering on three sides to be symbolic of the Met's constant vigilance in guarding our safety. The sign, which has never been copied, has achieved an iconic status worldwide. It would be best to reunite the form and function of the sign by reinstating the original lettering. This would restore the sense of symmetry and balance to a piece of design that has become part of the fabric of our lives, equal in iconic status to Big Ben (used to represent government), and the finial figure of the Old Bailey justice. Neither of these designs needs marketing, yet. For more on Edward Wright, see here.